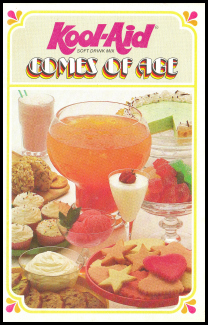 A culinary adventure through the pages of Kool-Aid Comes of Age. 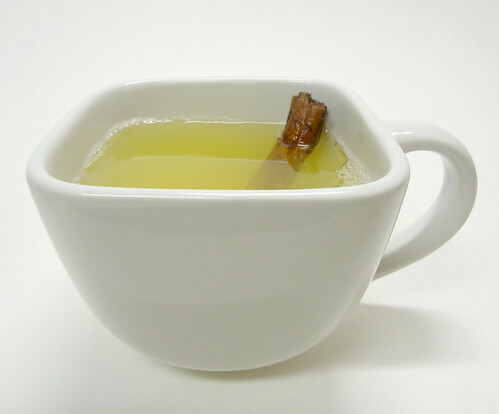 Hot Spiced Punch, from the Some Like It Hot section, is a slight variation on the can-this-really-be-called-a-recipe recipe for Hits-the-Spot Punch I made for the last post. 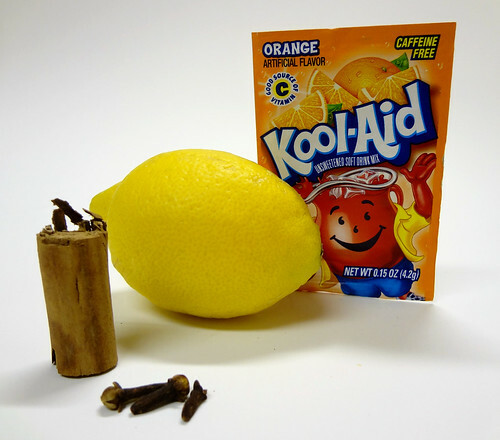 I opted for Orange Kool-Aid again because I thought it would work the best with cinnamon and cloves. 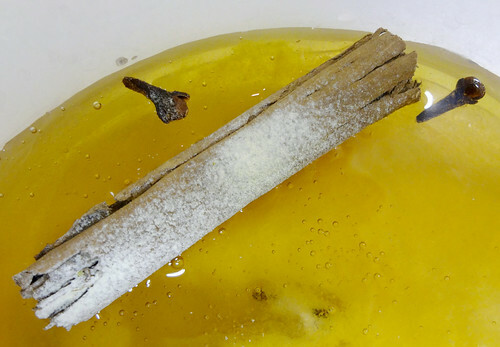 I find something very post-modern, or maybe existential, about seeing the beauty of natural ingredients like a cinnamon stick, cloves, and lemon slices floating in an artificial and violently orange batch of Kool-Aid. It speaks to me somehow. A comment on modern living, or societal evolution, or food trends throughout history, or God versus man. I dunno. It’s no upside-down urinal but there’s something to it. 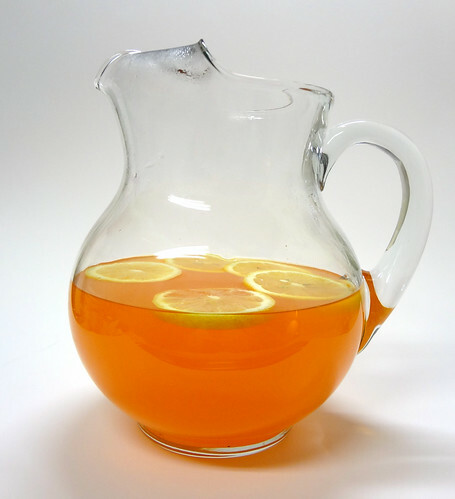 This reminded me of the Honey Lemonade (which has been the best preparation so far). 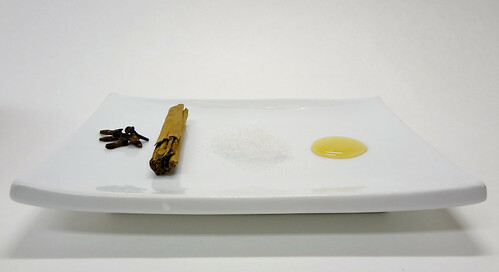 Same use of cinnamon and cloves, but not as much of them. 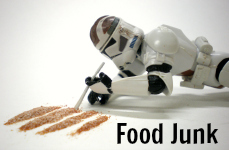 The flavor is subtler, but the spices do work pretty well with the Orange. I can’t see them meshing with Strawberry or Tropical Punch. Maybe if Apple Kool-Aid had been around in 1976, then we’d have something grand. Also, searching for the long out of print Apple Kool-Aid flavor leads to a zillion iPhone and Mac-bashing Google results for posts made by people who I’m sure think they are being very original with their condescension. Jonestown was in 1978, let’s update those insults a bit, shall we? Also, they’re just phones and computers, guys. Calm the eff down. Today, I hit the road in search of a pitcher. I decided I can’t be taking photographs of some generic straight-sided plastic monstrosity. No soul there. I needed one of those classic, curvy, glass numbers. And the one I got is just that. It’s pretty great. I also picked up some punch glasses. I can’t be serving my hot Kool-Aids in handle-less juice glasses. You gotta have little handles. Little handles class up any affair. So now I’m set for glassware. Still might have to pick up a punch bowl, but that’s for another day. Now, I have to admit I don’t get today’s recipe. 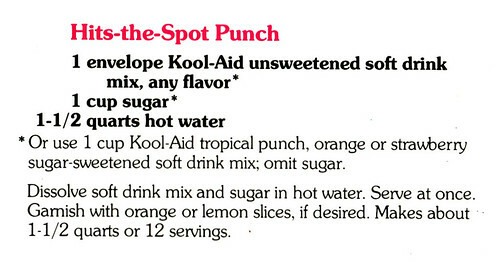 Hits the Spot Punch, from the Some Like It Hot section, is Kool-Aid served hot and sweeter than normal. Yes. Sweeter! If you know your Kool-Aid, then you know normal preparation calls for one cup of sugar and two quarts of water (too sweet already). This recipe decreases the water amount by a half of a quart. Kind of a lot. And tweaking your water content doesn’t exactly constitute a difference profound enough to be considered a different recipe. Why not have a recipe with two and half quarts of water? Three? Two and seven-eighths? The possibilities are literally endless. Also, inverting the normal temperature of your product doesn’t make it a new recipe either. For serious. Is there another cookbook somewhere that has a recipe for hot apple pie and then, on a separate page, cold apple pie? Grilled chicken breast, then refrigerated grilled chicken breast? I don’t think so. But I made it. With Orange. Not my favorite flavor but it was fine. It was really sweet, hot Orange Kool-Aid. Come on, anonymous Kool-Aid kitchen lab technicians from the past. I’m sure you guys are good people. You can do better than this. You and your special lady are snuggled up in some deep burnt orange shag carpeting. The fire in your wood-paneled, burnt-orange-accented den is crackling away. You run your fingers through her feathered hair. So feathery. She playfully traces the edge of your burnt orange collar. So wide. 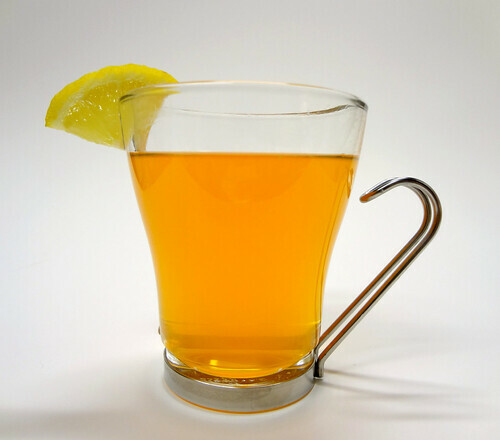 You stare into each other’s eyes and clink your mugs together, then sip from the piping hot, freshly made Honey Lemonade. It’s tart. It’s sweet. It’s sensual. So sensual. 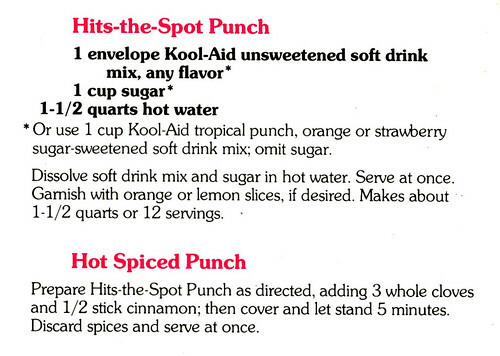 Today we take an entry from the Some Like It Hot beverage section of Kool-Aid Comes of Age. 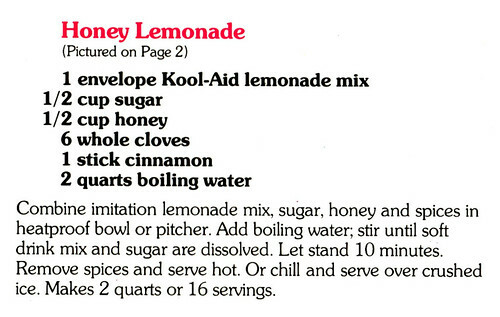 Honey Lemonade is a warmed up treatment of a Kool-Aid Lemonade packet dressed up with a cinnamon stick and some cloves. 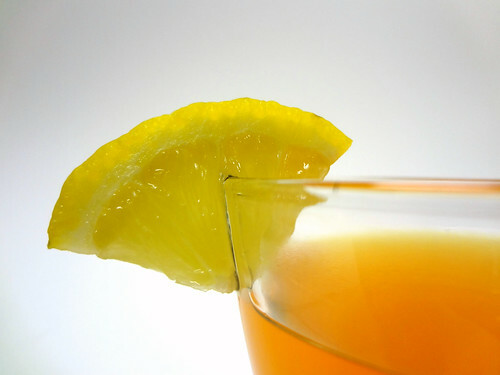 Half of the usual cup of sugar is replaced with honey for an extra flavor layer. This drink is sweet to be sure. Very sweet. Since starting this project, anytime I make straight up Kool-Aid, I always dial down the sugar content by at least half. At least. But I’m following these recipes to the letter, so I’ll try not to mention the sweetness issue too often. I have to admit this is not a bad beverage. 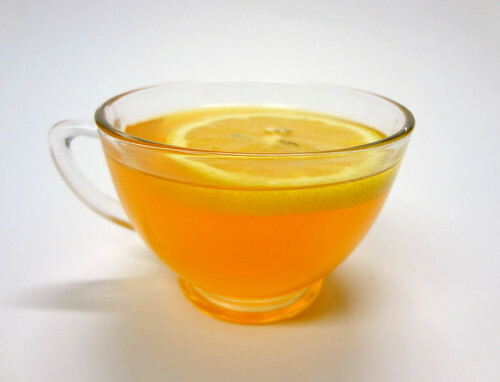 The spices toned down the tartness of the Lemonade a bit and give the whole thing a very wintery feel. I’ve never had hot Kool-Aid before. It’s very exciting. It feels naughty. So naughty. I also followed the recipe’s option of serving it chilled, and it was still pretty good. Refreshing and wintery. Like a spicy snowman. What? I dunno.